You may or may not have a purchased curriculum, but every homeschooling mom knows that finding extra teaching ideas, for third grade or early elementary school, is a wise investment of time. Third grade is all about making sure "the basics" in reading, writing and math are covered to provide a strong foundation for what's ahead. 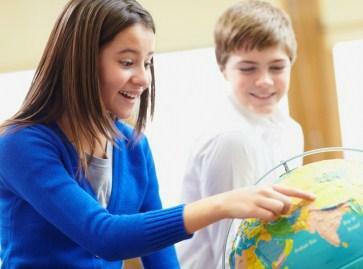 While your child may well be delving into deeper topics in social studies, science and other electives, it is a good idea to find teaching ideas that reinforce the basics. There is an expression in education that says that in first through third grade, students are learning to read so that in third grade and beyond they can read to learn. With that in mind, the third grader should still be spending a substantial portion of his day working on language arts skills, writing, spelling and advanced phonics. By the end of third grade, students should have mastered basic facts in addition, subtraction, multiplication, and division. Mastery of basic facts will make more complicated problems much easier. To help shore up basic skills and continue to build a strong foundation, try to sneak in daily activities for fun. These should take no more than 10 to 15 minutes of the morning, and simply serve to assure that the foundations have been thoroughly taught and understood. Dictation is a great way to not only see if there are concepts your student is not understanding, but to also to help your student improve in his spelling and writing skills. If dictation is too difficult for your student, try instead offering sentences with mistakes and having your child correct the mistakes as the editor. Number dice are a fun addition to your math time. You can make a game out of rolling the dice and answering the problems that present themselves. Give your child a goal of trying to answer a certain amount of problems in a certain time frame. Essentially, you are taking the idea of flashcards and making it more fun. The fun thing about teaching third grade is that while you are reinforcing basic skills, most third graders are ready for more difficult material. Third graders still need that hands-on approach that is often used with younger elementary students, but a third grader's skills in processing, deducing and synthesizing information is obviously more advanced. History through Poetry: It seems that man is often moved to poetry when significant things happen. Don't shy away from harder poems like The Odyssey or Paul Revere's Ride if they go with your course of history studies. Even if you only read one section of the poem, exposing your children to classic poetry is never a bad thing. Salt Dough Maps: Make a copy of a map on card stock. Glue the copy of the map on the bottom of an open box with short sides. Let your child create a detailed map out of salt dough. Encourage your child to be careful about placing rivers, boundaries and mountains. Nothing will help your child learn the geography of a country better than having to physically recreate a replica. A Different Kind of Book Report: Provide your students with an opportunity to work on their public speaking skills and creativity by challenging them to plan and record a commercial for their next book report. Charts and Graphing: Pick a topic of interest to your student that lends itself towards being charted or graphed, and help your child make and keep track of something. Topics could range from keeping track of temperatures and leaves, to following the stats of a favorite ball team. Model Building: Whether it's Legos, K'nex or popsicle sticks, building three-dimensional models helps kids develop critical thinking and spatial reasoning skills. Cooking: Third graders generally delight in helping in the kitchen. It's a great time for them to learn what it takes to get a meal to the table but more importantly, you can enhance skills in following written directions and fractions. Computers: There's no doubt that being technologically competent is an absolute must for today's students. Set time aside every week to do something on the computer, whether it be a project, typing game or research. The best way to come up with teaching ideas for your third grader is to take into account your child's interests and challenge him to come up with interesting and exciting projects. You may find, that when you combine school with a child's natural inclinations, things that normally seem like a chore, become fun and exciting.